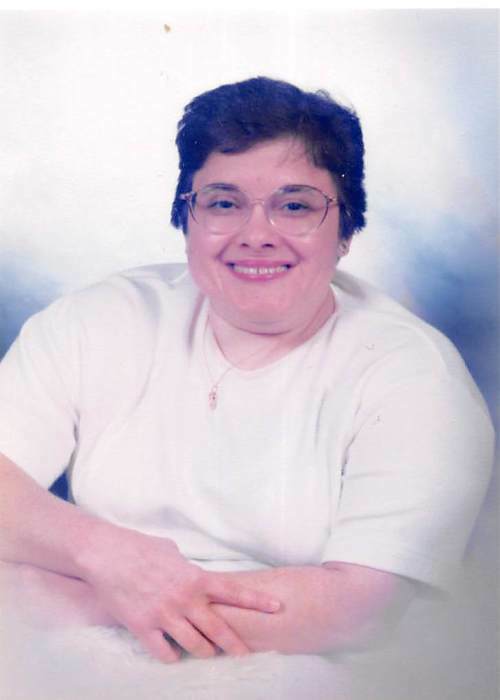 Teresa Joyce Penley, age 61, of Chuckey, the South Central Community, passed away Saturday morning at Johnson City Medical Center. Joyce loved the Lord and always maintained a strong faith throughout her life. She exemplified this through attending Horse Creek Mission Church as long as her health permitted; singing with the Penley Family, and reading her Bible daily. She enjoyed all sports and reading. She is survived by her father: Carl D. Penley; two sisters and one brother-in-law: Jill and Steve Renner of Greeneville and Tammy Penley of the home; one nephew: Dr. Nat Renner and his wife, Courtney; one niece; Carla Renner all of Greeneville; two great-nephews and one great-niece: Jackson, Bryant, and Allie Renner; two aunts: Sharon Penley and Susan Penley and all her special cousins. She was preceded in death by her mother: Kay Jennings Penley; grandparents: Mark and Dicy Jennings, Rev. James and Bertha Penley; aunts and uncles: Deanie and Blaine Hopson, Hugh and Lynn Jennings, Frances and Hugh Saults, Rev. Ray Penley, and Rev. Amos Penley. The family will receive friends from 5 – 7 p.m. Monday at Doughty-Stevens Funeral Home with the funeral service to follow at 7 p.m. in the funeral home chapel. The Rev. Stephen Saults will officiate. Interment will be 11 a.m. Tuesday at Liberty Cemetery in the South Central Community. Pallbearers will be Dr. Nat Renner, Jackson Renner, Bryant Renner, Mike Hopson, John Morgan, Daren Jennings, Bill Dearstone, and Melvin Saults. Memorials may be made to Shriner's Hospital for Children.